Got your own Booth? Join our network and start receiving enquiries! 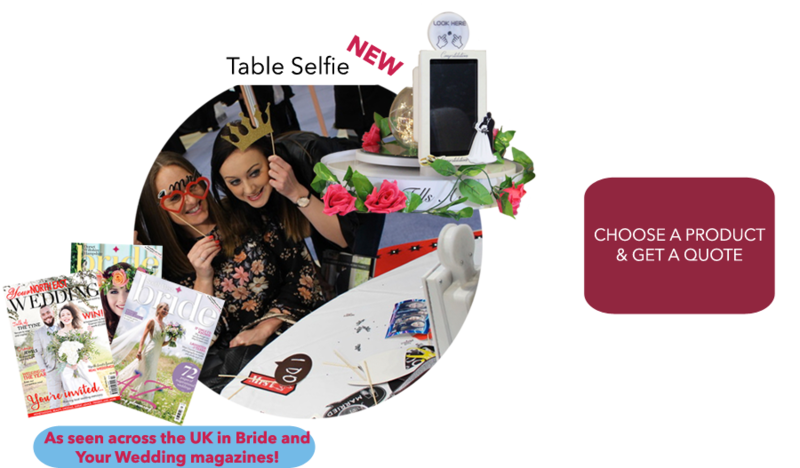 Brand new to the hire market for 2018 – Imagine placing a photo booth on every table at your event! 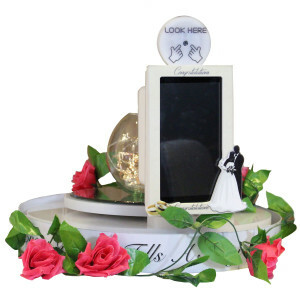 Snap full length photos and personalise with built-in touch-screen pad! Capture awesome photos inside our most popular booth with a range of skins available to choose from. 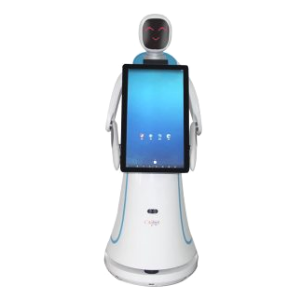 Amy Waitress Multifunctional professional restaurant service robot. 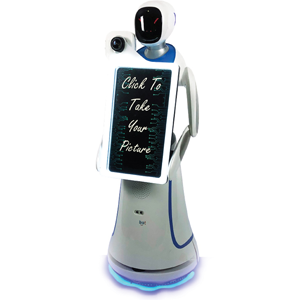 Amy Plus for reception, advertising and entertainment functions. 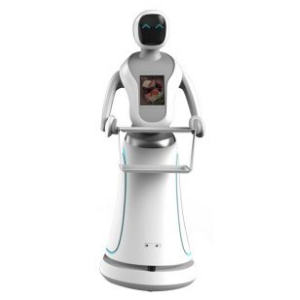 Eva Photo will roam around the room and use facial recognition and ask to take their picture. If you have ever seen a photo booth and video booth in use, you will know how popular, enjoyable and sometimes even addictive they can be for your guests. If you haven’t seen one before, rest assured a photo booth hire for your event will add something really special to the occasion that can be cherished for years to come. Here at Photobooth.co.uk our aim is to help ensure your event is the most memorable it can possibly be for both you and your guests. 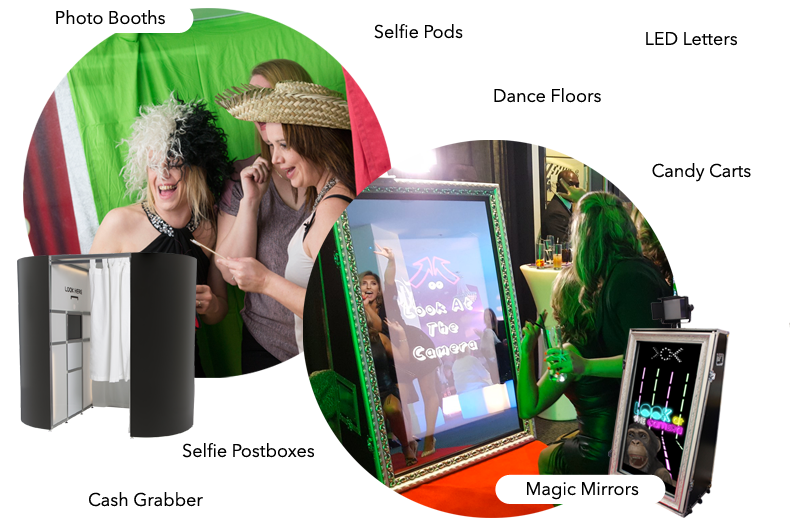 Whether you are planning a Wedding, Birthday Party, Prom, Bar/ Bat Mitzvah or a Corporate Event, a Photo Booth hire is guaranteed to be a sure-fire success with your guests. There are many reasons why people decide to rent a photo booth for a special event. Not only does the photo booth create great photos either for print or for social media, it can also be the highlight of the event! Photo booths are a real talking point, and people can very excited to see and use them. It can capture pictures like you wouldn’t normal achieve with a normal camera, such as having custom backgrounds, special facial effects, and various colour effects. Some photo booths are even capable of providing an in booth karaoke experience, known as Marryoke! 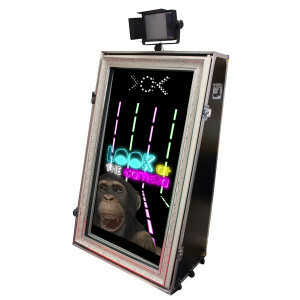 We understand that you may have certain requirements that your photo booth should deliver. The selection of photo booths available from our trusted suppliers allow you to have just what you want! 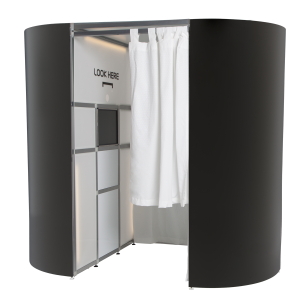 Customise your photo booth from the outside to the inside. Have your skin wrapped in it’s own custom skins, request your own custom green screen backgrounds. You can even add a stamp or logo to all of your prints.